Elizabeth Peabody is best known today as one of the founders of the Kindergarten movement. But did you know that she was the glue that held early Unitarians, Transcendentalists, and other liberal and radical religious Congregationalists together? She also ran a bookstore in Boston, published a Transcendentalist journal, and hosted Unitarian discussions for women. 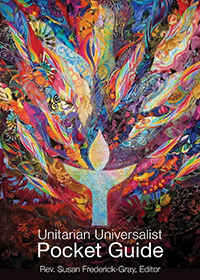 Without her, we likely would not have a UU movement today. Please join us for this interesting third installment in our 5-part series called “UU101”. The five sermons are not connected to each other, and are especially helpful to anyone interested in knowing more about our religion or are considering joining the Fellowship.